With the initial Apple Watch launch over, some of those who’ve been using their shiny new devices since Friday are reporting a few bugs. This shouldn’t come as a surprise, since this is a first generation product running Watch OS 1.0. 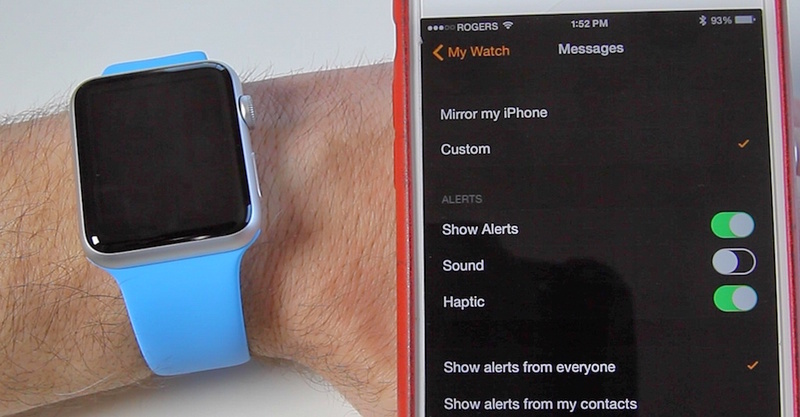 Some people – including myself – have been having issues with getting notifications on our Apple Watches. This is one of the key features of the watch, being able to get mail or texts discreetly via a simple tap on your wrist. But as I said, for some it’s not working, or it works sporadically. So if you are having issues with notifications, let us know if these steps help fix it for you. And stay tuned, in the coming days we are going to have a whole series of videos showing you tips and how-to tutorials for your Apple Watch. Click here to subscribe to my YouTube channel so you won’t miss out on any videos.